Multi-Function” is the name of the game for the BLACK+DECKER™ 6-in-1 Stirring Rice & Risotto Cooker Cooking pot. Preset functions give you options to cook rice, risotto, and pasta, and to slow cook, sauté, and keep food warm. 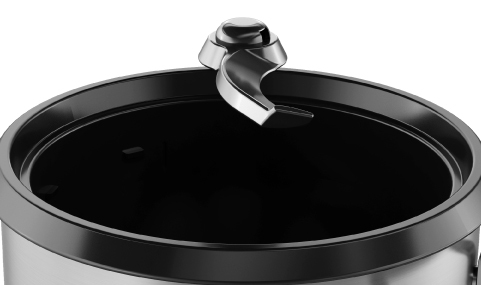 A specially designed stirring function lets you create creamy, authentic risotto and does all the work for you. 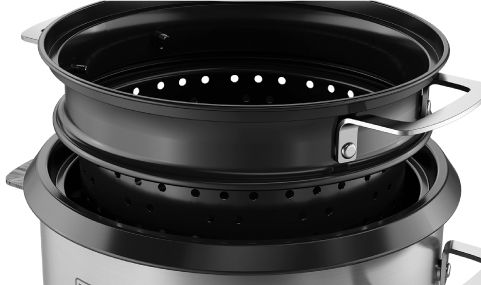 The nonstick coated pasta basket makes it easy to boil and drain pasta, or it can also be used as a steaming basket to steam vegetables, fish, and more. Update your kitchen with the versatility and convenience of BLACK + DECKER™. The included rice cups, along with the cooking bowl markings, provide the correct ratio of rice-to-liquid; for perfectly fluffy rice without the guesswork. Also the serving spoon is safe to use on the nonstick cooking surface and is dishwasher safe. 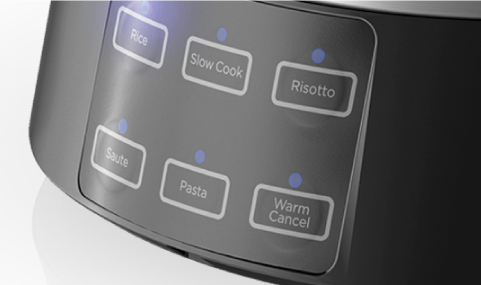 This multi-function appliance has presets for: rice, risotto, pasta, slow cook, sauté, and keep warm. The large capacity cooking pot yields up to 20 cups of cooked rice; for full, family-sized portions or weekly meal planning. 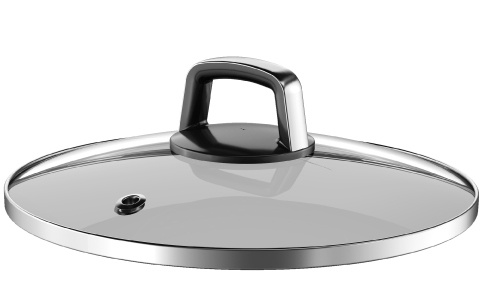 Both sets of extended handles allow for cooking ease. Use the slotted nonstick metal basket to quickly boil and strain pasta, or use it as a steamer basket. Keep an eye on food while it cooks without letting heat escape. Make authentic risotto; the detachable stirring arm rotates during cooking for fast, consistent results. Once the rice is done cooking, the machine automatically switches to the "Keep Warm" function. 6-IN-1 Stirring Rice & Risotto Cooker is rated 4.7 out of 5 by 70. Rated 5 out of 5 by Happy Camper 816 from Great pot!! This 6-1 pot is amazinggggg! You can cook all different types of food in this pot like risotto, soup, meat, veggies and even pasta! This is my all in 1 go to pan when making dinner for my family. Clean up is a breeze as well! Rated 5 out of 5 by Queenof5 from Love This Rice Cooker! I was so happy to receive this rice cooker because I had always wanted to see how they work. I decided to start out making risotto and I couldn't believe how easy the process was. Usually with risotto you have to stir it constantly, but with this rice cooker, the stirring arm does all the work. All you have to do is add the chicken broth and let the cooker do it's thing! I typically make a double batch and the cooker is still able to keep up with the stirring process. Another great feature of this rice cooker is that you can both saute' and steam vegetables. If you need to saute' onions or celery for another recipe, you just put the veggies in and stir. They saute" in a short amount of time. Steaming is also really easy. By placing water in the base it allows the steam to move up to the basket where the vegatables are. Every time I have made the vegetables they have come out perfect!As far as clean up, the cooker has a non-stick surface so it washes up easily and quickly. I would recommend using the plastic serving spoon that comes with it or something that is suitable for non-stick surfaces so you don't scratch the pieces of the cooker. Rated 4 out of 5 by Dainesh from Simple and easy I like to use it for light cooking and mainly making varieties of rice. I don’t think it’s suitable for heavy cooking as it tends to scratch easy. And the slow cooker option tends to stop working frequently. Rated 1 out of 5 by kyle001 from Not good Unfortunately the unit burned out after being used about 5 or 6 times and will no longer turn on. Rated 4 out of 5 by DonnaB1 from Recipes I bought this product but was surprised a recipe book did not accompany it. Does anyone know where to find a collection of products for this rice cooker or can I use generic recipes? Rated 5 out of 5 by Wiley from Frees kitchen space and performance is awesome! Ok, I received this product for free in exchange for my honest and unbiased review. I wanted to be certain it would hold up well to frequent use before posting my review so I have now used it for over 6 months now, yes SIX MONTHS. In the beginning I did notice a little unpleasant electrical odor which I did not like especially with it coupled with food smells but after a couple of uses I never smelled it again.This quickly become my wife's favorite appliance. She LOVES good risotto but she hates having to stand and hover over the pan constantly stirring to get excellent results. As a result, she only prepared risotto on rare occasions when she was feeling really industrious. She was skeptical of this cooker in the beginning but her skepticism quickly turned into awe. This puppy turns a chore into a breeze with delicious results! I can not emphasize that enough. After 6 months, its performance has not waned. If you love risotto, get this now!I honestly have never used it for rice. My father was an excellent chef who taught me how to cook perfect rice on top of the stove every time, the key is to trust it and do not open the lid until it is ready and just the right amount of heat and water for the correct time.We do use this cooker whenever we make pasta. Excellent at that task. Saute onions and small veggies? Excellent. Steam veggies? You betcha. It also functions as a slow-cooker and we frequently use it in that regard. I will point out that the pot is round instead of oblong so something you might fit in a traditional slow-cooker may not fit, at least without cutting it up. 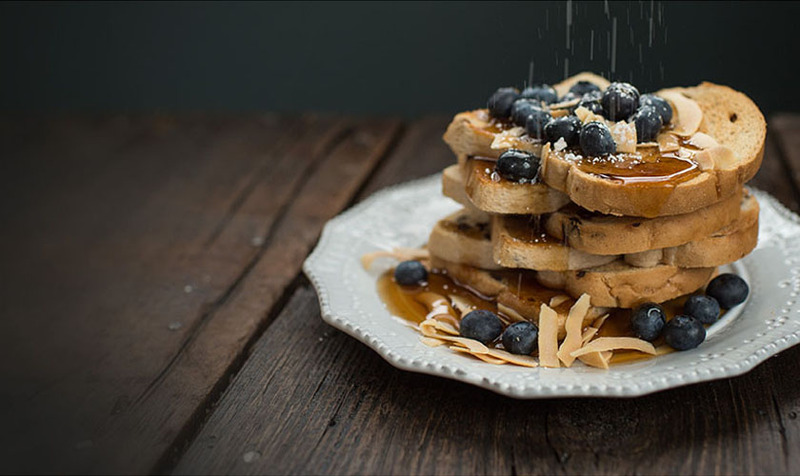 You can set it to keep your food warm until ready to eat too.Cleanup is easy but remember that it has a non-stick coating so be sure to only use utensils which are gentle in that regard so it will perform well for you for a long time. We love this cooker so much! Rated 5 out of 5 by Chutkee from Great product I love this, it's easy to use and multi functional capability is added benefit. I can set it up in morning and i have meal ready when I return home. yesterday, I purchased this from a local store, they told me it refurbished unit. i want to know how do I register for 2 years warrenty on this one ?